Note – in case you’re wondering, yes – the links to the items below are affiliate links. 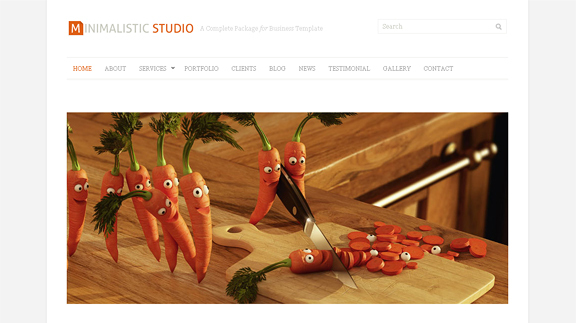 But this doesn’t mean that I’m just trying to make a buck – these templates are truly awesome. I first saw this style from this popular Tumblr theme. Bokeh is an effect where a colorful palette of round reflections are so washed and blurred from an out of focus lens of some sort. This mystique of photography somehow brings the subject (the content in our case) a much more focused and sharper look. 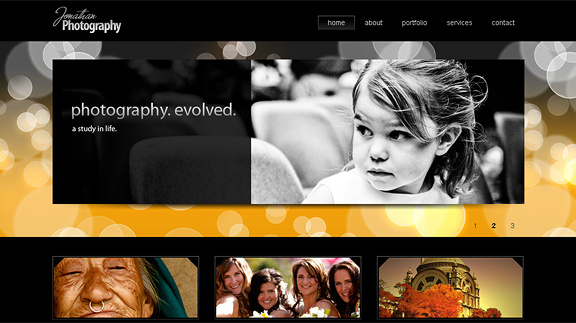 The Bokeh effect gives the entire page an overall feeling of harmony and beauty. Bokeh in combination with transparencies as well as rounded corners give this template a thumbs up from me! 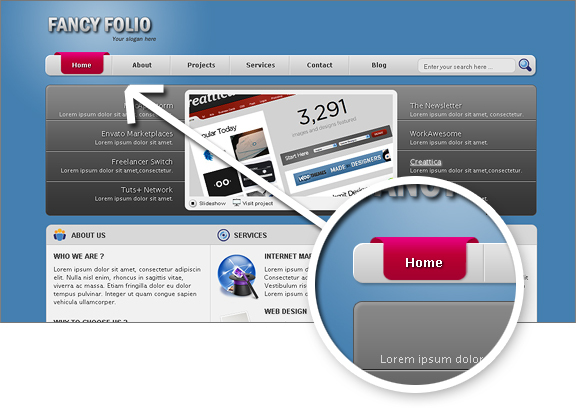 This template uses bokeh in the inner frames of the page. 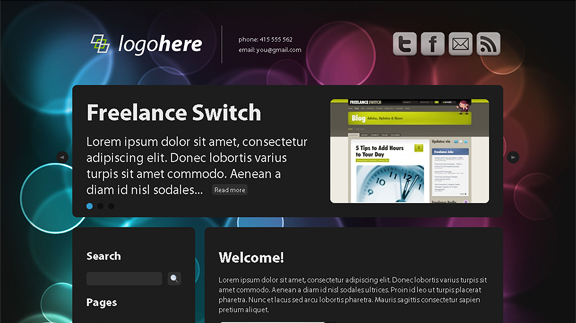 Very sleek, professional and elegant. 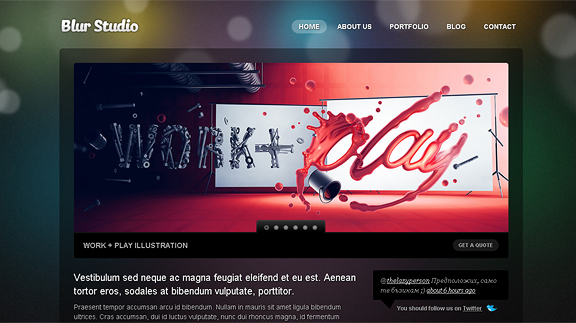 Another Bokeh Beauty, don’t miss the amazing typography from this theme! This style has been around for a while, but still doesn’t fail to amaze me. 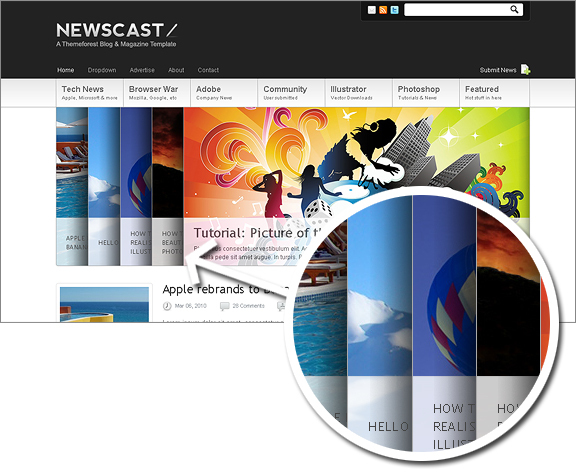 It is when the designer takes page elements and wraps them among sections of the page, as if it was three dimensional. This one is very unorthodox. Folds, peels – 3d everywhere! Sliced, reversed, waves – the slideshow on Perception will leave you breathless. 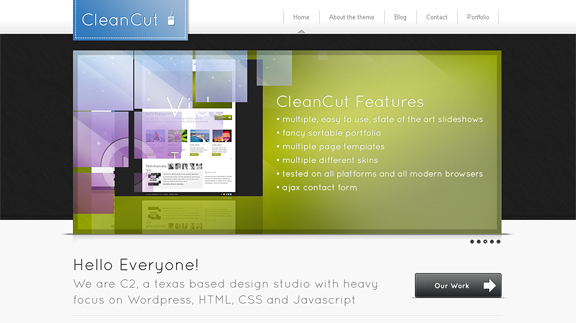 The transition effects on CleanCut will give your images that “Wow” factor. The slideshow on this template is a combination of many styles, played in random order. Tastefully done. 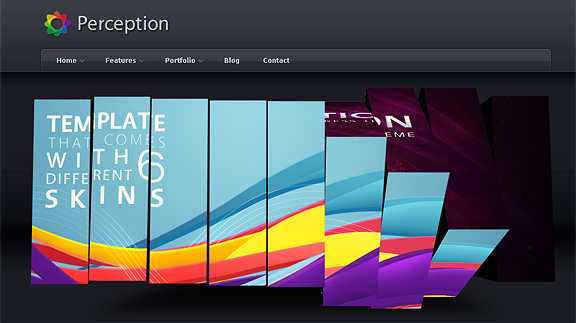 Instead of the regular slideshow, some templates integrate an Accordion effect (or both) right in the home page. 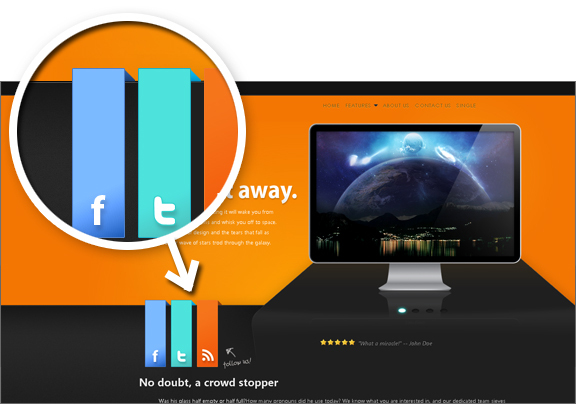 Both are somewhat similar, though the Accordion is a new trend that gives your website that out of the ordinary style. 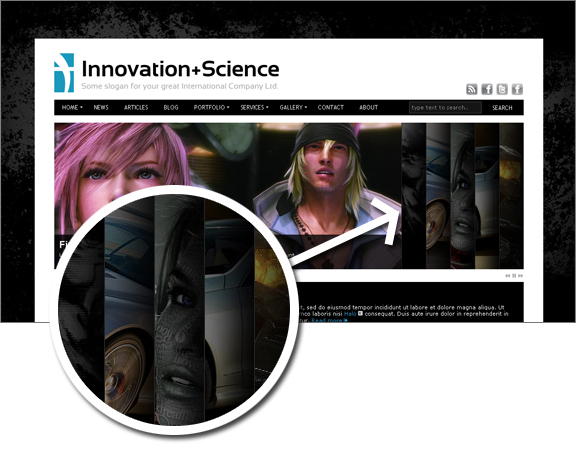 Definitely of of my favorites – Innovation + Science is very sleek, sharp and clean. The accordion is a good choice for this template. 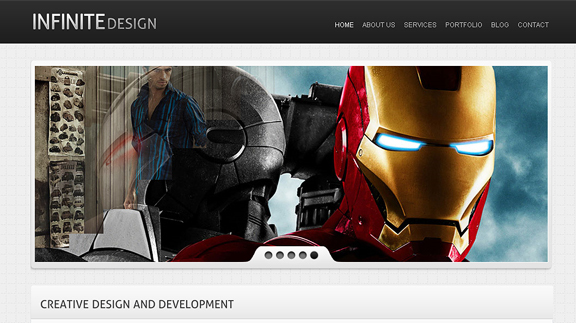 Just as the title describes, minimalist styled websites try to achieve the best look out of the least styling. The aim of the minimalist is to present beauty out of pure simplicity. 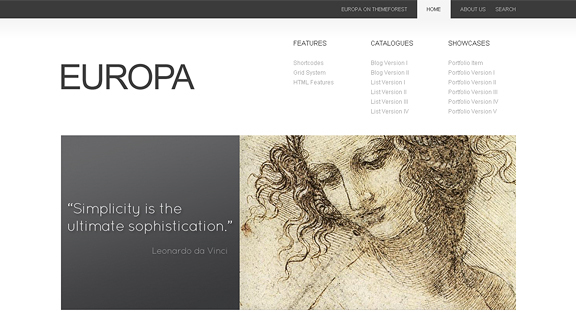 Big solid fonts, grayscale schema, massive spacing – this template speaks simple yet beauty. 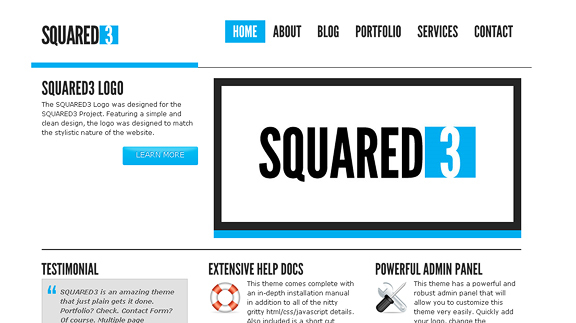 Squared3 has good typography, as well as excellent color scheme. This template should also have been in the “Wild Slideshow Transitions” category, again – a nice solid template with simple accents and design applications yet effective results. That is wonderful! You are so great! 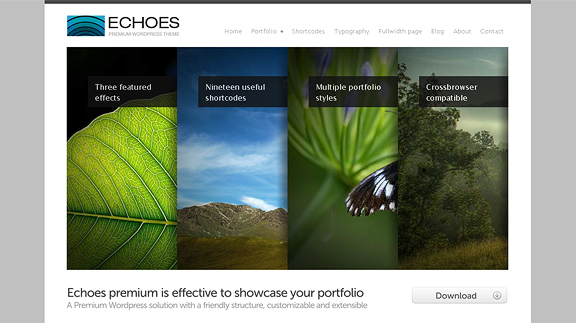 Echoes is a fantastic template… it has great typography and the smooth accordion on the home page looks really impressive! 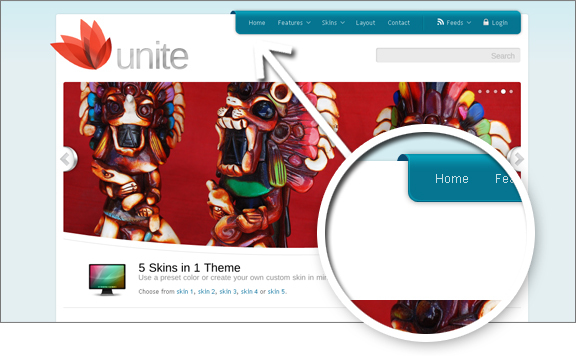 Damn where is this Infinite xHTML/CSS Theme?!?!?! It was removed, damn it I wantto buy it so badly right now!!!!! Can someone tell me where I may still buy that theme? Good eye on the trends.